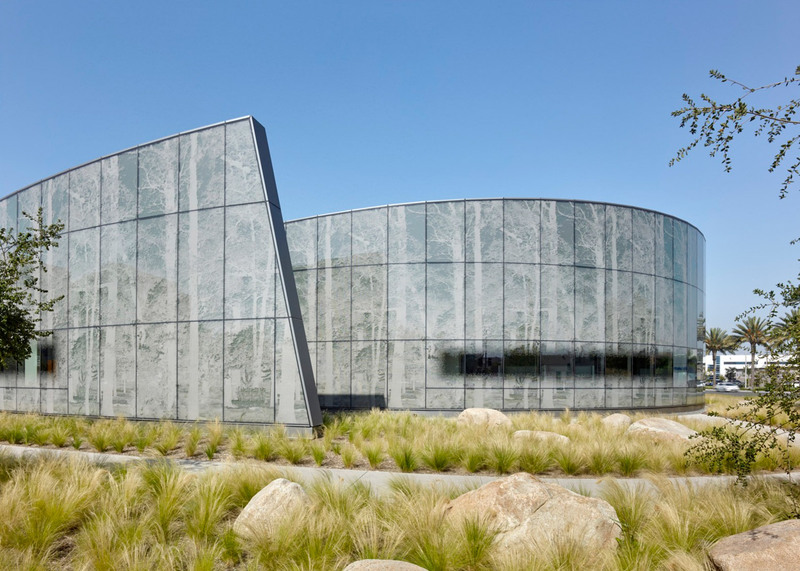 Los Angeles firm Yazdani Studio has completed a curving glass facility for cancer patients in southern California, featuring radiation treatment rooms that overlook Zen gardens (+ slideshow). 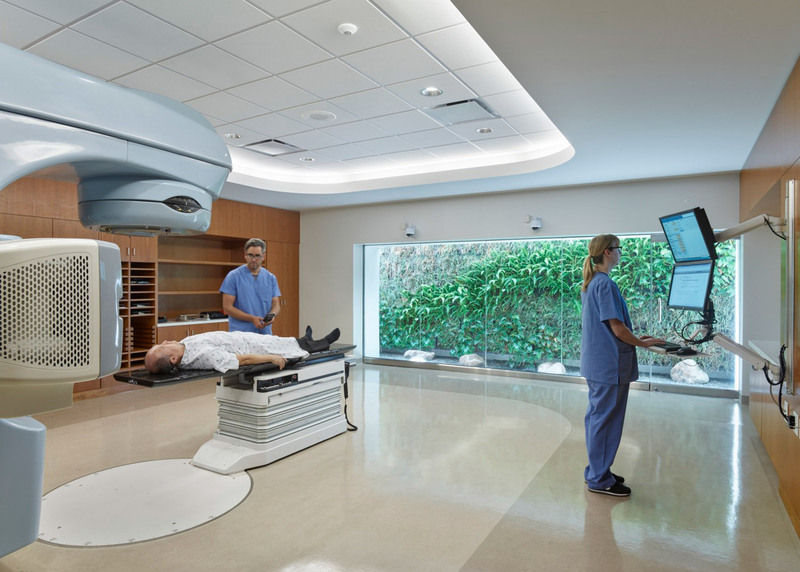 The Kraemer Radiation Oncology Center is located in Anaheim, a city near LA that is known for being the home of Disneyland. 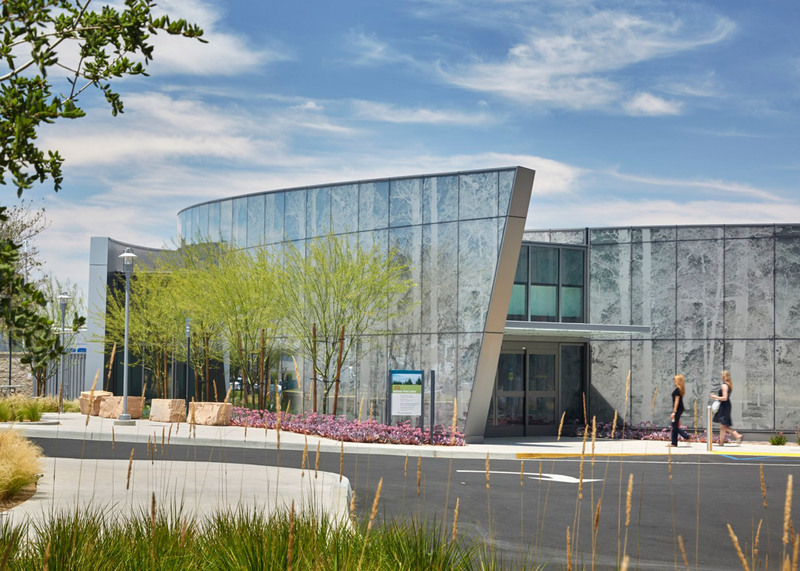 Encompassing 16,000 square feet (1,486 square metres), the single-storey building serves as a gateway to a new campus for healthcare provider Kaiser Permanente. The facility's programme includes exam and treatment rooms, offices, a staff lounge and conference rooms. 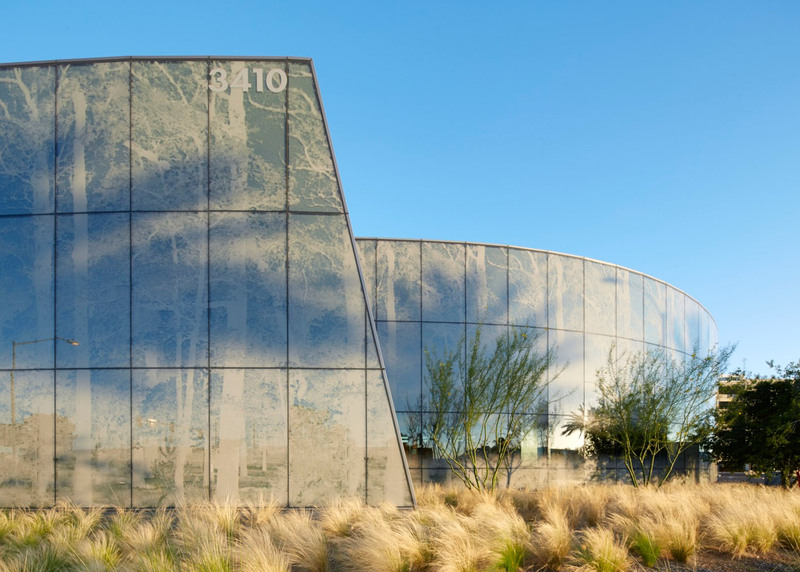 Yazdani Studio – an offshoot of Cannon Design – gave the building a glass facade with a custom-designed tree pattern that mimics the surrounding landscape. 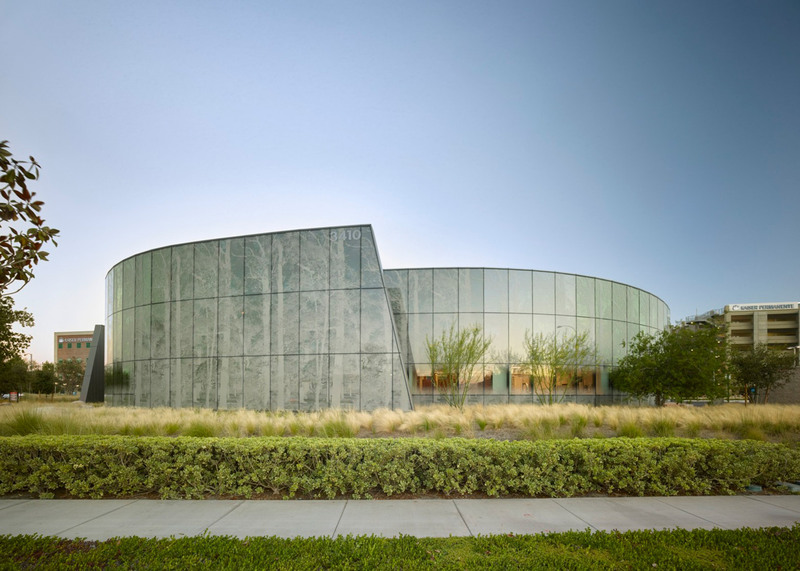 "The glazing pattern density is varied to provide transparency where desired and privacy where needed," said Yazdani Studio, adding that the building emits a soft glow at night. 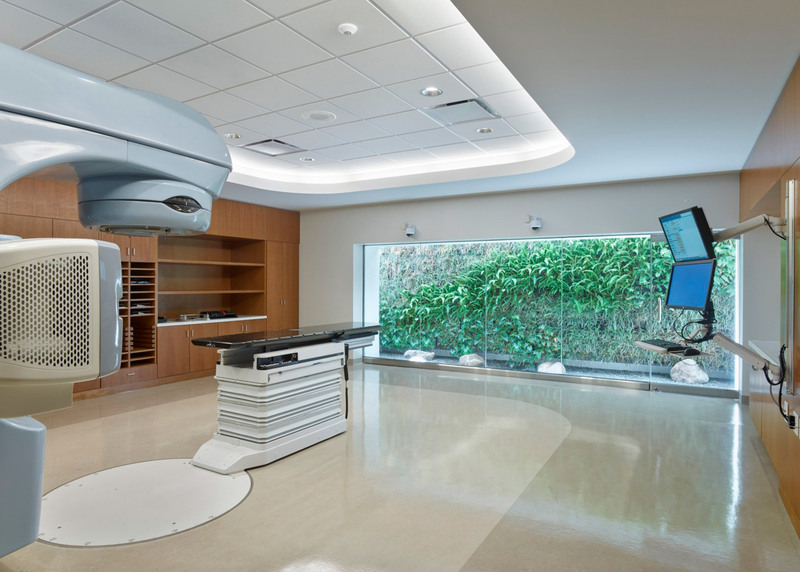 While conceiving the design, the architect was focused on the distinct needs of cancer patients – specially the frequency of treatments, which often occur five days per week for up to eight consecutive weeks. 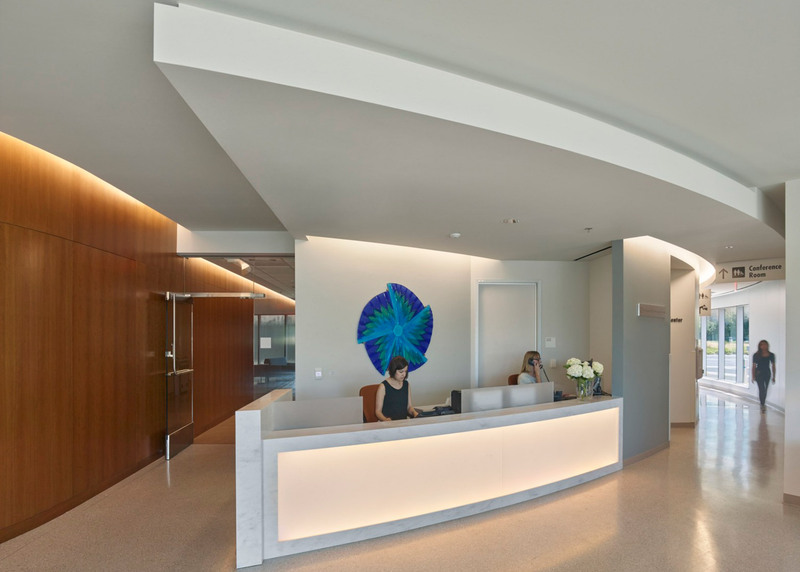 The firm wanted to help alleviate the stress and discomfort that patients endure. "We harnessed natural light, views to nature and soothing interior colours to create a calming and nature-oriented experience that feels more like a spa than a diagnostic and treatment centre," the firm said. 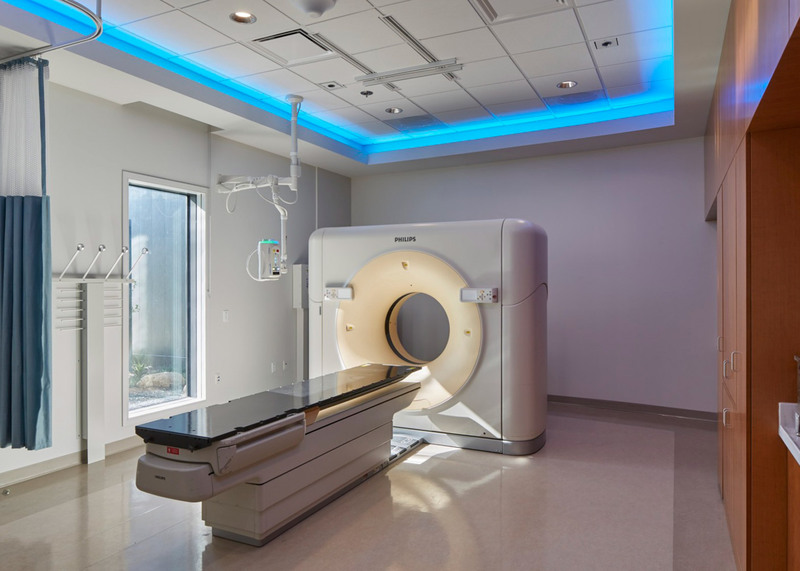 At the centre of the circular building is an area for three linear accelerators – large machines that use radiation to target tumours in cancer patients. The machines are generally housed in below-grade rooms due to their weight and the radiation they emit. 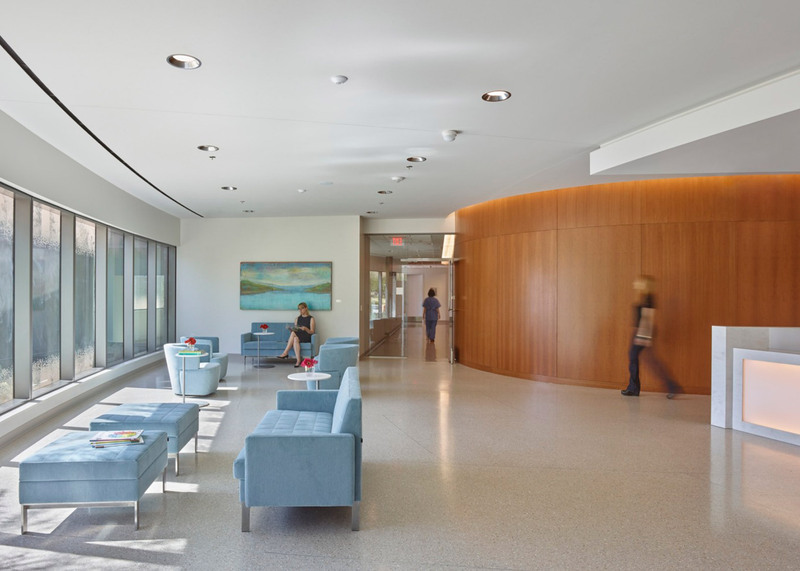 The underground spaces are often "barren of natural light and amenities that support the psychological and emotional needs of cancer patients," the firm said. To mitigate this problem, the architect placed the radiation rooms at ground level and enclosed them with three-foot-thick (91 centimetres) concrete walls. 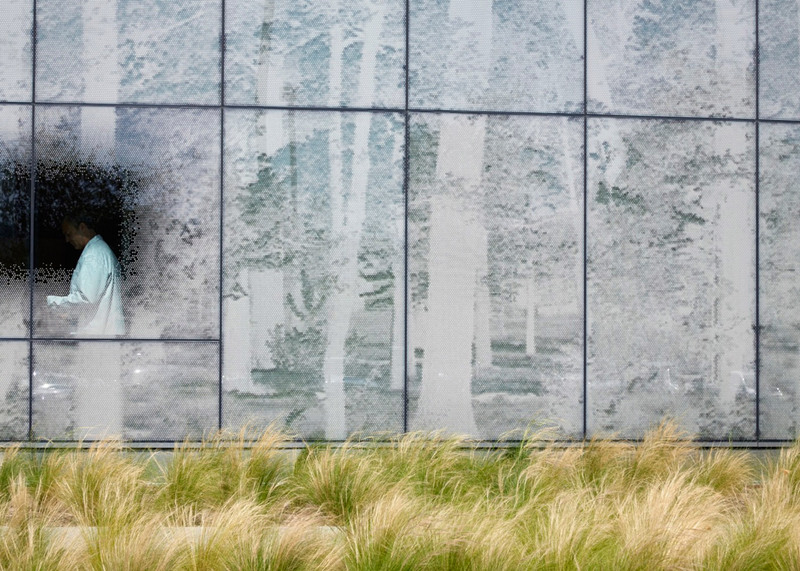 "A glass wall stretches across the footwall of each room, opening onto a Zen garden and a plush vertical garden," the firm said. The firm fitted the facility with contemporary decor and artwork, and added earthy finishes such as wooden wall panels. 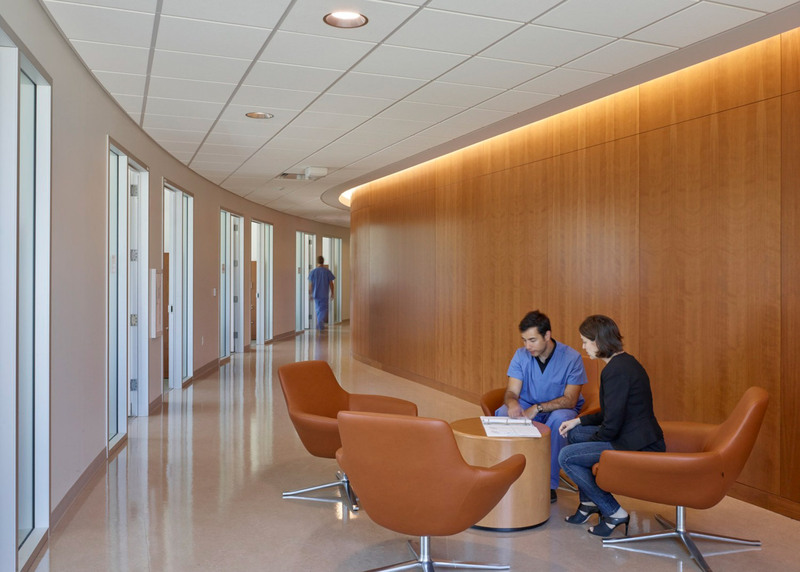 Cove lighting was used in corridors and other areas to help soften the atmosphere. Yazdani Studio, led by Mehrdad Yazdani, was established by Cannon Design as "a laboratory for exploration and experimentation in architecture". The impetus for creating the studio was to help differentiate Cannon Design from other large architecture firms and leverage the "best attributes of a small investigative design studio with the resources and reach of a global practice"
Other recent examples of medical facilities include a centre in Finland that is clad in slim strips of timber and a Brisbane children's hospital whose exterior features huge green and purple fins.